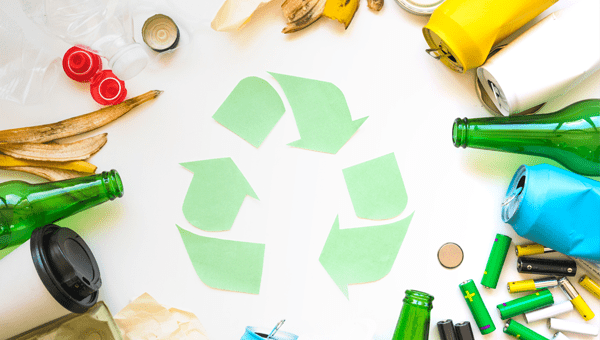 We all know the benefits of recycling; reduces what gets sent to landfill, conservation of unmined resources and reducing pollution, however, do you know all the ins and outs of what can and can’t be recycled? Depending on which council area you live in, you may have two ‘recycling’ bins: Blue and yellow, both with a different purpose! Your BLUE bin is for paper and cardboard! This includes clean paper/cardboard (sorry oily pizza boxes bottoms – you do not make the cut, but the lid is usually ok) and paper/cardboard milk and juice containers. Also, tissues boxes are fine, but make sure you remove the plastic rim and recycle that separately with your soft plastics at the supermarket. Your YELLOW bin is plastic drink/milk bottles, margarine containers, coffee cup lids, empty plastic containers (e.g. dishwashing liquid, shampoo bottles), empty plastic medicine bottles, empty food tins, spray deodorant bottles and plastic tubs. For soft plastics, collection points have been set up to ensure that that you have a place to recycle these items since the blue and yellow bins in our recycling service can’t process them. These programs, easily located at your local grocery stores like Coles and Woolworths are fantastic as the recycled items go on to be made into new products, such as outdoor furniture. So now we have discovered that soft plastics CAN be recycled, what do they actually include? Think items like single-use plastic bags, old reusable bags, fruit and veggie bags, bread bags, cereal box liners, frozen food bags, cling wrap and lolly wrappers! Pop all these items into your red/green bin! This is just a handy little reminder of what you can (and where) and can’t recycle. If everyone makes a conscious to recycle properly, we are on our way to making this planet a lot greener! *Small disclaimer – each city or state may have different recycling laws. So please check with your local council for more information.